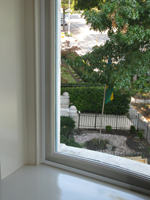 Swaziland Embassy – Washington, D.C. 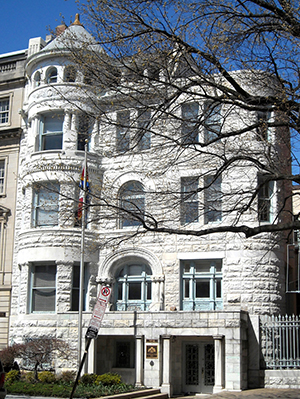 The Embassy of Swaziland is located at 1712 New Hampshire Avenue, NW in the Dupont Circle neighborhood of Washington, DC. Constructed in 1894, the five-story Richardsonian Romanesque row house is a contributing property to the Dupont Circle Historic District. 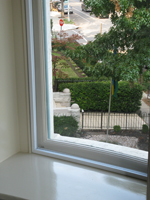 The project was completed by Larry Patterson of Warm Mornings Environmental Window Solutions, located in Swanton, MD and installed by independent and certified Climate Seal installers. © Acoustical Surfaces, Inc., All rights reserved.